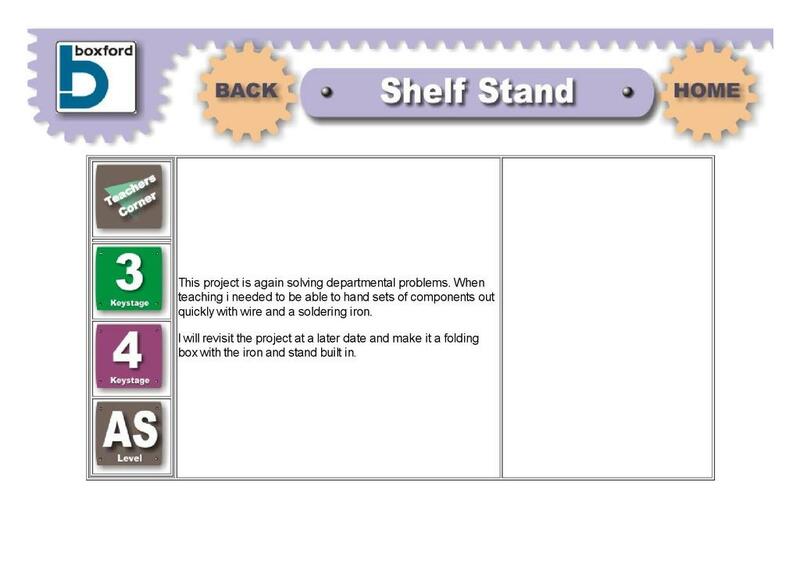 This resource from Boxford describes the development of a shelf stand to store boxes of electronic components. The rationale for the product is described and photographs show what it must be able to store and what it looks like once fully made. Curriculum links include the use of CAD/CAM to produce products.